It was in the fifth or sixth grade, in the class of a teacher I remember for only two things: he was portly, and his pants were too bright. Everything else is a blur, except for one afternoon when he decided his pupils needed to know something about musical theater, so he brought a stack of records to class and proceeded to play his favorite bits. Among them were snatches of Hello, Dolly!, The Music Man and Mame, and — for reasons I can’t quite figure out — Cavalleria Rusticana and Pagliacci. 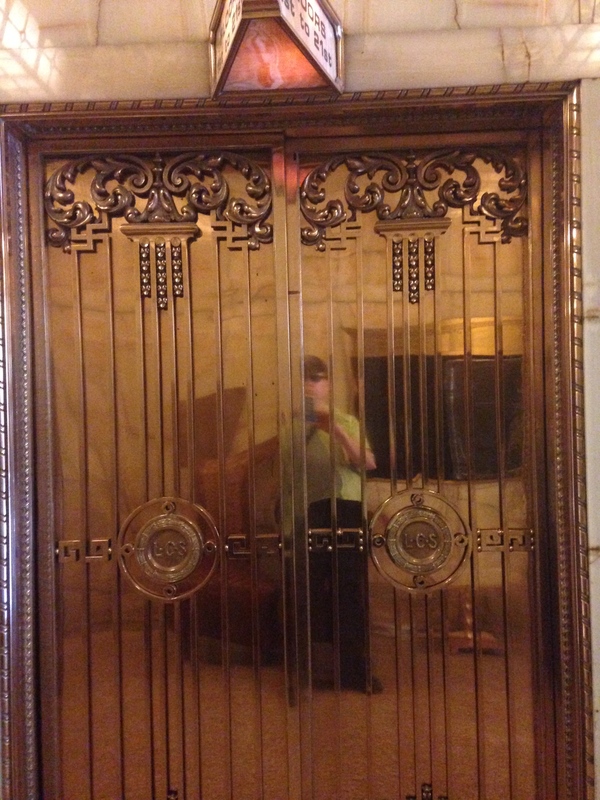 The clue to the elevator’s significance lies in the buttons that adorn its interior and exterior. Its automation, at the beginning of the 20th century, created a system of electronic signalling which brought the entire operation under the control of the individual user. In no other mode of transport could a vehicle be hailed, directed and dismissed entirely without assistance, and by a touch so slight it barely amounts to an expenditure of energy. The machine appears to work by information alone. Elevators, Bernard says, reprogrammed the high-rise building. It might be truer to say that they reprogrammed the people who made use of them, in buildings of any kind. There were, as Trotter points out, many revolutionary consequences: making the skyscraper possible, the “recodification of verticality” (Bernard) — meaning the migration of the “top” class hotel rooms from the bottom literally to the top — the influence on urban planning, etc. Safety first was not so much a motto as a premise. No wonder that the closest high-end TV drama has come to Sartrean nausea is the moment in “Mad Men” when a pair of elevator doors mysteriously parts in front of troubled genius Don Draper, who is left peering in astonishment down into a mechanical abyss. The cables coiling and uncoiling in the shaft stand in for the root of Roquentin’s chestnut tree.